U.S. Secretary of State Michael Pompeo has called on church leaders and officials in Ukraine to actively promote the values of tolerance and mutual understanding on the way to creating an independent Ukrainian church, the Ukrainian Embassy in the United States has reported. 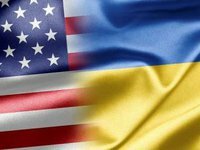 "The United States reiterates its strong support for religious freedom and the freedom of members of religious groups, including Ukraine's Orthodox community, to govern their religion according to their beliefs, free of outside interference," Pompeo said in a statement posted on the website of the U.S. Department of State. "We support Ukrainians' ability to worship as they choose and hope this will be respected by all. Tolerance, restraint, and understanding are key to ensuring that people with different religious affiliations can live and prosper together in peace. We urge church and government officials to actively promote these values in connection with the move towards the establishment of an autocephalous Ukrainian Orthodox Church," according to the document.